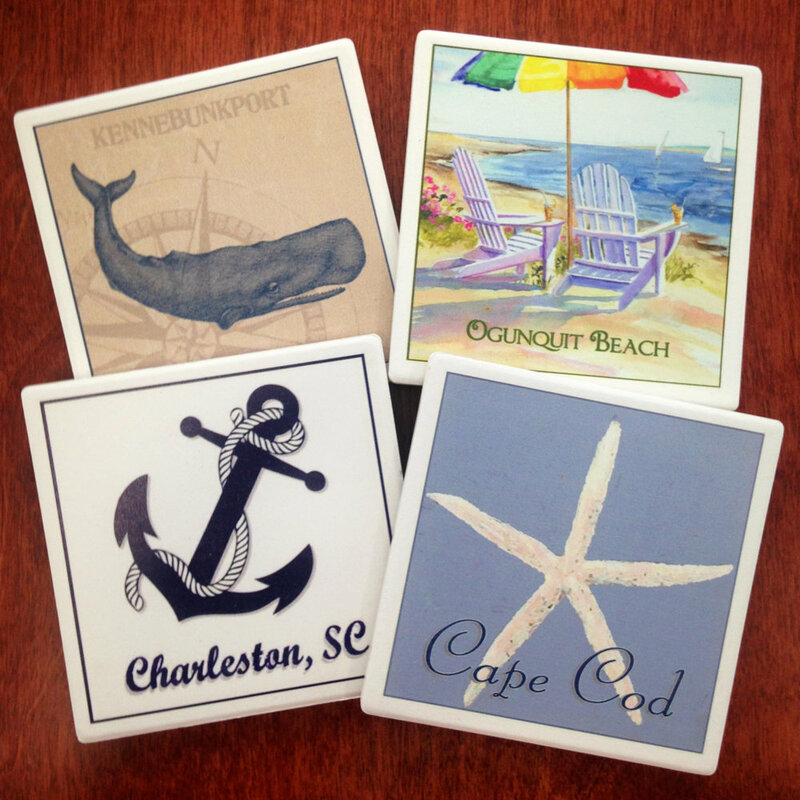 Tile Coasters — Paint the Town, Inc.
Search our coaster collections. These are four designs that are fit well together as a set. 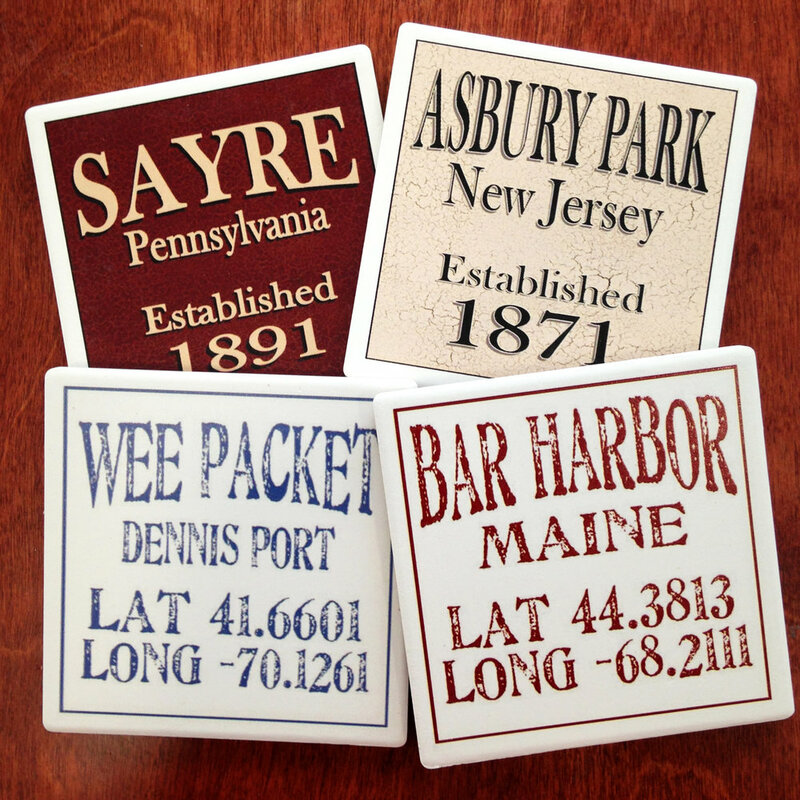 All can be personalized any way you like.